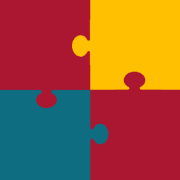 Puzzler's Exchange provides a perpetual supply of large-piece jigsaw puzzles to facilitate social connection that is cooperative, calming, and enjoyable, for those living with complex health challenges, and their caregivers. To develop a network of communities, organizations, and families that promote the well-being, quality of life, and human potential of all members regardless of their capabilities or challenges. "Our residents just love having new puzzles they haven't seen before (and staff too)! We feel so honored to be a part of such an amazing program that provides so much opportunity for our residents. Thank you!" N.S. Would you recommend PUZZLER'S EXCHANGE?